Matt Lambert was born and raised in New Hampshire. He moved to Scottsdale Arizona in 1999 and began managing high delinquency collections at Dillard's National bank until a ceiling was hit. This opened his eyes to start selling real estate in 2003. He managed the commercial division at valley wide premier properties, and started L & B homes - a real estate investment company in 2007. Matt has successfully flipped over 200 properties, and he has consistently been multi-million dollar producer. 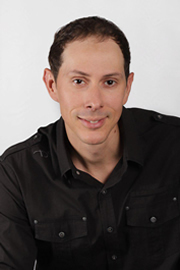 He is the founder of Team EvoAZ at eXp Realty and is very excited about what the future holds! 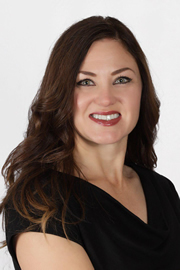 Originally from New England and now residing in Ahwatukee, Arizona, Katie Lambert, a multi-million dollar producer, began her career as a mortgage loan originator and later became a licensed, professional Realtor. 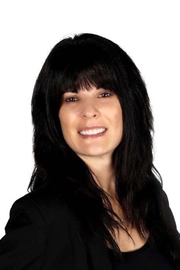 With several years experience under her belt, she then became an Associate Broker. She has consistent, proven results and has exponentially increased her production each year even in challenging housing markets. She owes it all to extensive experience, knowledge of the market place, and her dedication to excellent customer service and incredible work ethic. Her clients are more than just clients and typically become life-long friends. In her spare time, Katie performs as a professional vocalist and enjoys quality time with her family and German Shepard pup, Layla. Top producing agent and top ten producer (Valley-wide), Member of the East Valley WSN, Member of the $50M Club (exclusive, nationwide, invite only, and must sell $50M in Real Estate to be considered), Owner / Team Leader and Primary Listing Agent for Team EvoAZ at eXp Realty and Katie Lambert, PLLC SFR designation – Short Sale and Foreclosure Resource. Vanessa was born and raised in the Philippines. She attended Capitol University and graduated Bachelors Degree in Business Administration. Vanessa has built a career in the BPO Industry for 10 years, where she assisted clients in administrative tasks, graphics design, sales, customer service, marketing and social media. This mother of one plans on making real estate a long-term career and is grateful to have found such a wonderful and amazing team! Alex was born and raised in Vienna, Virginia. He moved to Tempe, Arizona in 2008 where he attended Arizona States W.P. Carey School of Business and graduated with a Bachelors Degree in Business Communication. In Alex's senior year he joined Team EvoAZ at eXp Realty as an intern, where he assisted in marketing and social media. Being given the opportunity to shadow some of the best and brightest real estate agents in Arizona, Alex aspired to become a real estate professional himself. Shortly after completion of his internship, Alex got licensed and officially joined Team EvoAZ at eXp Realty. Ever since then Alex has been assisting buyer's in finding the home of their dreams! There is nothing he appreciates more then seeing the smiles on his clients face when he hands them over the keys to their new home! Since relocating from Washington to Arizona in 1996, Jeni has built a career in the residential construction industry. After many years of active involvement in home building and renovation, Jeni developed a passion for real estate and acquired her Real Estate license in 2009. Jeni takes pride in aiding clients in the home buying and selling processes and ensuring a smooth and positive experience for every client. As part of Team EvoAZ at eXp Realty, Jeni is committed to quality service and will provide her clients with the highest level of dedication and integrity. Jen was born and raised in New Jersey and decided to move to Arizona in 2003 for college. She loved it so much that she decided to stay in AZ and has since lived all over the Valley! She has her Bachelors Degree in Visual Effects and Motion Graphics. Jen also has her Masters in Business Administration and her Project Management Certificate. She went on to start her career in the Advertising and Marketing field. Later, she worked in the higher education industry where she specialized in coaching students through to the completion of their degree programs. She has always had a passion for Real Estate and once wanted to be an Architect. One thing Jen takes the most pride in is making sure she educates her clients on the home buying and selling process so they can ask questions and feel comfortable trusting her team with their biggest investment. Susan Waggoner was born and raised in Miami, a small mining town in Eastern Arizona where she learned the value of a close-knit community. She moved to Mesa, Arizona in 1998 and honed her business and communication skills working as a medical transcriptionist for both Scottsdale Healthcare and the Mayo Clinic. She also received a degree from the El Dorado Business College in California. Susan acquired her real estate license in 2018, and is excited to be a part of Team EvoAZ at eXp Realty. Although she's originally from Southern California and lived for a brief period of time in Florida, Yvonne has considered the east valley of Phoenix to be her "home" since 1992. Along with her husband, she raised four kids in various parts of Phoenix, including Mesa, Queen Creek, and San Tan Valley, and now calls East Mesa her "empty nester" home. Yvonne originally studied Family & Human Development at Arizona State University; however, a chance opportunity to assist her friend Jen Duncan in the real estate market for a time made her realize that she could put her lifelong love of houses and interior decorating to good use. Yvonne started schooling for her real estate license in January 2019 and became a licensed Realtor® soon thereafter. Now she's putting almost 30 years of personal experience with buying and selling homes (including three new builds, completely remodeling a 100 year old home, and other housing styles) to work in helping others find their dream home in Phoenix, Arizona with the help of Team EvoAZ.